I've always been of the opinion that contemporary - especially in YA - is the hardest sub-genre to write. Why, you may ask? When reading contemporary novels, we want our stories realistic, and yet at the same time, we don't want them too reminiscent of our real lives. We want our main characters familiar and relateable, and yet at the same time, we don't want them making mistake after mistake. We want them as close to perfect as possible. We're a hard to please bunch, aren't we? Recently though, I've found myself reading more of contemporaries that feature imperfect characters - characters who actually learn and find themselves throughout the story; and storylines that are messy, gritty, and captivating, and I'm happy to say that I found these components in The Year We Fell Apart. If I were to choose a phrase to describe my reading experience of The Year We Fell Apart, I would choose 'it hurts SO good'. See, it's not an easy book to read. You'll find yourself frustrated with Harper and Declan, our main characters, too many times to count, and there are numerous interactions that would leave you with your gut clenched and you uneasily drawing shallow breaths. Again, it hurts so good because despite everything that I have just mentioned, you still can't stop reading! You just have to know how Harper and Declan's story ends. 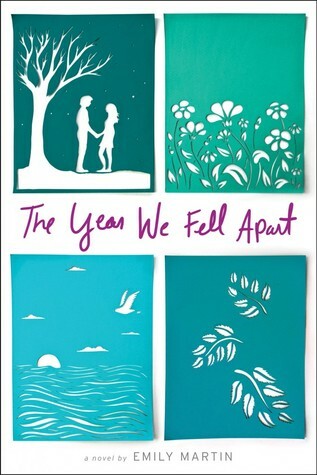 All these is the magic of The Year We Fell Apart - its realistic take of your classic teenage love story is what sets it apart from other books of its genre. Martin was careful with her writing - nothing felt forced, contrived, or overexaggerated. Rather, the gradual progression of our characters' stories all felt natural, and they made sense. Let me say it point blank, Harper is not an easy character to like. In fact, I wouldn't be surprised if a lot of people decide that they don't like this book because of her. But you know what? She's flawed. She's imperfect. And that's OKAY. There were multiple instances wherein she made me want to gouge my eyes out. But here's the thing - at the end of the day, she's just like you and me. Let me reiterate - she is as imperfect as you and I are. Sure, Harper made a whole slew of mistakes throughout the book, and some of her decisions were difficult to fathom, but you know what? Not once did I ever doubt that she was doing the best that she can. She was surviving the only way she knew how, and there is just no way that I can fault Harper for that. It didn't escape me that so many problems and issues could have been avoided had Harper and Declan simply sat down and talk, but hey, that's so much easier said than done. Harper isn't avoiding talking to Declan for no reason at all - she knew that she what she would say would hurt Declan immensely, and THAT'S what she's trying to avoid. I'm not saying I agree with the decisions that she made, but I understand why she chose to deal with the fallout of her actions the way she did. She was frantic, desperate, and afraid, and all these in turn lead to poor decisions. Harper may not be your cookie-cutter chosen one heroine, but that's okay. I was able to relate to her, and I understood her. That's enough for me. Another strength of The Year We Fell Apart is how it depicted the positives and negatives of relationships, and how they grow and change in time. I felt excited, frustrated, anxious and hopeful (believe me when I say that you will be through one heck of an emotional roller coaster with this book!!!) while reading Harper and Declan's journey as they tried to pick up the pieces of their failed relationship, and how they tried their damned hardest to move forward. It was NOT an easy ride, but the grit and rawness of it all was what made the book so magical! While I'm in the topic of relationships, let me also talk about Cory and Harper's friendship - this right here is what made me LOVE this book. I don't think I've ever been happier to read about a platonic friendship between a boy and a girl - there were no hidden agendas nor hidden feelings whatsoever, just a strong friendship that has successfully weathered both good and bad times. Cory's devotion to Harper, as well as in unwavering belief that Harper is so much more than she makes herself seem, were both so heartwarming to read. All in all, if you're in the mood for a slightly angsty but wholly realistic contemporary read, The Year We Fell Apart is the book for you. And just because I have to say it again... this book hurts SO SO SO good and YOU HAVE TO READ IT. 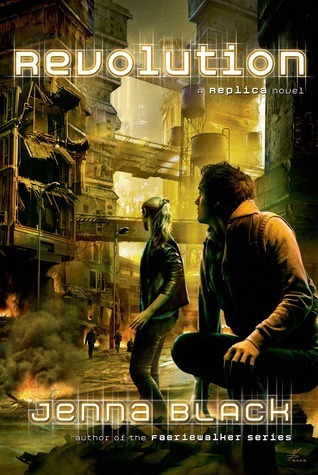 Reading this review was extremely reminiscent of the first time I reviewed a contemporary YA book. We want our contemporaries to be realistic, with just a tad bit of swoon, right? The Year We Fell Apart has actually been on my list for weeks now, only I haven't got the money to buy it yet (lol, poor me.) But it is on my TBR! It's my kind of tea! Am I right that it's a best-friend turned lovers type of book? That's actually my most favorite trope! Ahh, and I can't wait to read it! This review really encompasses just how I felt about this book! I still haven't written a review for it (bad habit hahah) but I think the realistic aspects of it were what really made this one stand out in the crowd of contemporaries, since I usually tend to feel meh about the genre overall. And also, towards the end, I started crying, and books that hit me that hard, well, they have a special place in my heart. Fab review Lyra! ERIIII! I've read SO MANY contemps but this one is just different. I think you said it best - its realistic aspects were what set it apart, and what made it stand out. I hope that you do write a review for this soon because I would LOVE to read it!